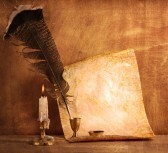 One of the key elements in the story of The Scrivener’s Tale is a quill. It erupted into the story because I was talking about scriveners and their role in medieval times. I realised I knew very little about quills – I suppose I thought it was just a feather with a nib. But as I began to research it, I became fascinated by the history of writing and especially this most humble of writing tools. Communicating through semi permanent markings on a surface probably began as far back as 5000 years according to history when man began to make markings on stone and it perhaps took several more centuries before man first began to scratch the surface of moist clay tablets with a piece of bone. Later, along came those cluey Egyptians who developed formal written communication through hieroglyphics on papyrus. A stylus scraped on waxed tablets came next and took us through the Roman period into the Dark Ages and ultimately to around 1000AD when a shaped feather, sharpened at its end and dipped into ink could achieve letters onto parchment, because by then we were writing words that others could read and understand. It is said that this form of writing emerged in Spain – who knows? – and because it was effective, but still rather cumbersome, only capital letters were used. Some bright spark had the inspiration to attach a nib that could be dipped into ink, which incidentally can be traced back to around 1800BC and the wise Chinese who developed plant, animal and mineral inks. I grew up with hearing the words ‘Indian ink’ and although it seemed perfectly natural to hear it called that I didn’t know what it meant. South Indian scholars were writing with sharp needles and ink made of a variety of substances from tar to burned and moistened ground bones from at least 400BC it is believed. Sticks of ink were imported from Asia and the Orient to liquefy with water and ‘indian ink’ possibly comes from this trade. Ink kept developing and colours were pioneered – blue from fruits to begin with, brown from cuttlefish, I think. So did writing implements keep developing in tandem and around the time of the 12th Century, ink was being used in Europe on parchment or vellum – the skin of a kid goat usually – and made from bark, boiled with water and wine and reduced until the liquid became black. Quills were developing in sophistication too. They are fashioned from a primary flight feather; it’s from these that it gets its strength, while at the same time having the flexibility required. Being left or right handed affected which side of the bird the feather was chosen from and how it curved – clever eh? 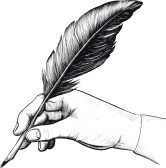 So if you were right handed, for instance, the feather for your quill would come from the left side primary feather so it curves gently away from your writing side. You can imagine that no two quills would produce the same shapes; some might allow the ink to flow easier, others may scratch more, their tips would wear quickly and break, needing constant trimming. Just as I have favourite pens, I’m sure some scribes had favourite quills. I have learned while writing this blog that the finest quills were from raven feathers – if that’s true then we have some lovely synergy at this blog, given that the last entry was about ravens. 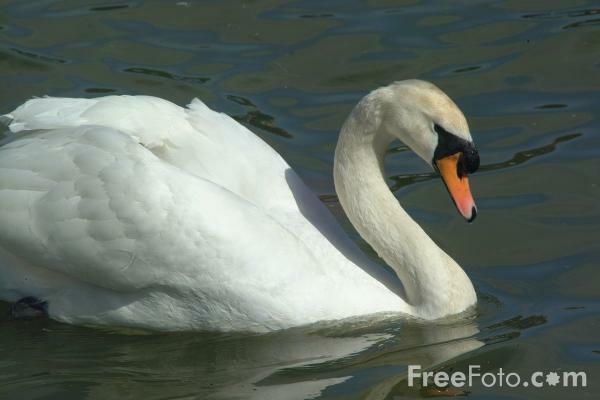 However, when researching the novel I discovered that although feathers were selected from a variety of birds, the goose quill was perhaps the most popular but the swan was prized….. particularly for scholars or scribes in monasteries. So Gabe’s quill in The Scrivener’s Tale, started out as an element that bound the modern day writer in Paris with the medieval scribe in Pearlis and I liked bringing the two worlds together through this bird’s feather. I had no idea when I introduced it, that it would be such an important touchstone for Gabe or the vital clue for the Queen.